An easy way to keep that lipstick on for the long haul! 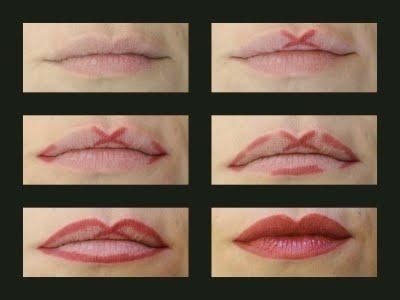 Have you ever lusted for more feminine lips with a sharper, more angled cupids bow, but didn’t want to actually do anything too drastic or permanent to your pucker? Check out the neat trick posted below for a easy way to perfectly fill in your cupid’s bow without surgery or painful injections! I absolutely LOVE this little trick! This stuff is amazing. Put it on and it lasts…all.freaking.day. Comes in a bunch of different colors and you’re guaranteed to make you fall in love with the way these make your pucker look! Drink proof, food proof and kiss proof. After it’s set it won’t smear or transfer onto anything else. You’re welcome ladies!